Warming or not, you cannot deny the record heat and shortage of water. I just returned from a trip to the New England area where the rain is abundant, the temperatures are magnificent and the ocean is plenty. In checking the weather the weeks preceding our trip I took note of their record high heat of 102. I was pleased to see the spike in temps would recede just as our plane would be landing. The trip was amazing, but the bad news was that yet another opportunity for rain in Texas in the form of residual rain fall from a predicted hurricane was again detoured and I would be returning to an even worse situation than I left. As we returned to Austin the first welcoming home was the punch in the face of heat you felt as you exited the plane and headed into the airport, the next was the drive home. There is a color of a plant that is so stressing of a Burnt Umber that there is no denying its death. That was the color of what used to be grass and wild flowers as far as the eye could see. There were Oaks that had succumb to years of drought where all that was left were the skeletons of what used to be a force to be reckoned with and others drooping and asking for mercy from the heat. To say it was depressing would be quite the understatement. As I drove home wishing I could have shoved some of the rain and cool East coast air into my suitcase to share with Central Texas, I became even more disheartened by the dried out yard after yard of neighborhood after neighborhood on our journey home. 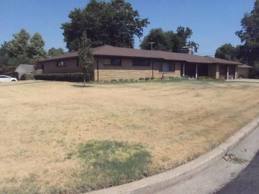 As we came down our street cringing at the thought of what my yard must look like after 10 days of no water, I turned the corner, and to my surprise….The yard looked amazing. Our yard is about 50% Xeriscaped and the flowers were blooming , the color was spectacular and unlike the other yards on our drive home, aside from a few burned spots in the little lawn I have out front (that the HOA makes me keep), the garden was lovely. We walked through the front door and made our way to the widows facing the back yard garden and cracked open the shades to let some light in after so many days of darkness on my houseplants, we were honestly anticipating the worst. We cautiously peeked through the small spaces in the blinds out to the back garden which is fully landscaped and Xeriscaped (no lawn) . To our amazement, it was beautiful. The garden was thriving (or at least surviving) with flowering Turks Cap, Esperanza, Pride of Barbados, Zinnia’s, Roses, Sages and Salvia, Thryallis and Pavonia, Santolina, Skullcap, Copper Canyon Daisy and Coral Bean. The trees were heavy with fruit and flowers and while our tomatoes and blackberries had seen better days, the herbs held up really well. My husband called my attention to a bird on our Basil eating the seeds and then to a lizard on a piece of iron shedding his old skin while a hummingbird was passing from flower to flower in the distance. As my husband and I are peaking gingerly through the blind not to disturb the wildlife, he whispered to me,… “See,.. what you have been saying for years is true, if you use the right plants, this is what you get”. It was like my yard hadn’t noticed we were in a record drought. Why you ask??? I belive it is because I have been practicing what I preach. The reality is that if you use plants and trees that belong here and are truly drought tolerant, then you compost and heavily mulch your soil, you can use very little water, and no chemicals. In exchange, you will have a garden you and nature would be proud of. Nature has a funny way of knowing best and for some reason a lot of otherwise intelligent people either challenge this notion or at the very least, plead ignorance verses acquiring some basic facts. I have 5 basic rules for a succesful garden, and while I will name those rules in this blog, I will detail them in another. I will guess that some of you will think they are common sense, but if you are one who does not, I am happy to get you started on the right track. The first important rule is to prepare your soil, the second is the proper plant selection, the third is proper watering, the fourth is organic fertilization and integrated pest management and last but not least fifth rule is to commit to your personal investment, the willingness to participate and to what level. This is what a Xeriscape, low water, low maintenance garden looks like! I work for a living and have a family I am responsible for, so I have found that if a plant isn’t willing to cooperate, it has no home here. Through this process over the past 20 years, I have come to realize that there are true performers here in Texas that have proven themselves to be winners in the garden. The list is a lot longer than you’d think and I have many of them on my FB page under Lisa’s Landscape & Design. I love to compost, I feel that it is the least we can do to give back to the earth and with all the new fangled composters that work “for you” like the “Spider Composter” you really have no excuse not to unless you are in an apartment and even then you could try vermiculture if you were so inclined. Next is our watering habits, I water only once a week for 30 minutes in each section. I find that this is sufficient to water my plants, but to achieve an inch of water weekly in your yard, you may have to choose another schedule, just make sure you are measuring to be sure. Next, be an organic gardener, you owe it to the planet. Why use chemicals when there is an organic solution, to me it is just irresponsible to do otherwise. Finally, (last rule) be sure to take on more than you can handle. If you get over zealous and create a larger garden space than you can handle, it can feel a lot like work. Having small successes, then moving on to larger projects is the most appropriate way to succeed. Gardening should be fun, not a chore and if you follow these basic rules, you are almost guaranteed to have success, even in the most trying climatic times. Now go get your water wise garden on!